You might remember that in 2016 I took my eldest son Eddie and his bestie to Auckland City Limits. They had the best time and I am so excited that the festival is coming back and is again having a special kids festival as part of it. AND I’M GIVING AWAY TICKETS! (But we will get to that). Usually festivals are not kid-friendly. And that’s a real shame because who loves music more than kids? And why should kids miss out on art? 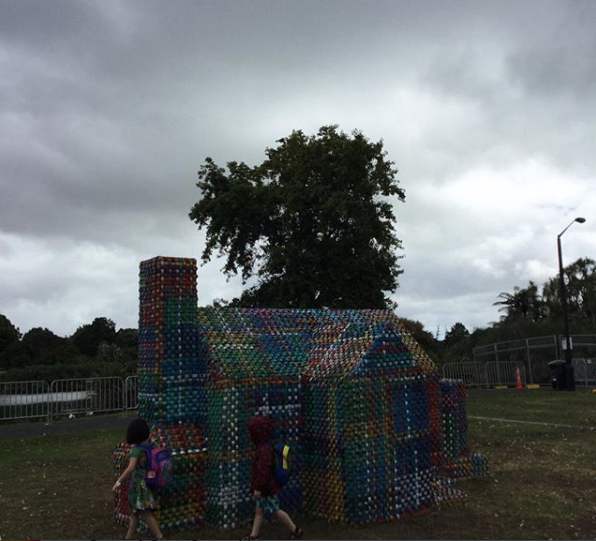 I love that the organisers of Auckland City Limits have made it not just kid friendly but actually actively welcoming to kids! This year Auckland City Limits is on March 3 and Auckland Kiddie Limits their kids festival within the main festival looks awesome. Children 10 years old and under get in free to to the festival and they are welcome in all corners not just the kids area. Our babes loved it all – there is art, music, the Kiddie Limits area, and a water spray zone. They were both fast asleep on the way home (They were three and four then). Getting to and from the venue at Western Springs was really easy. And they have pass outs for parents so if you’re lucky enough you can take the kids out at 5pm and drop them off and then come back for the rest of the festival. 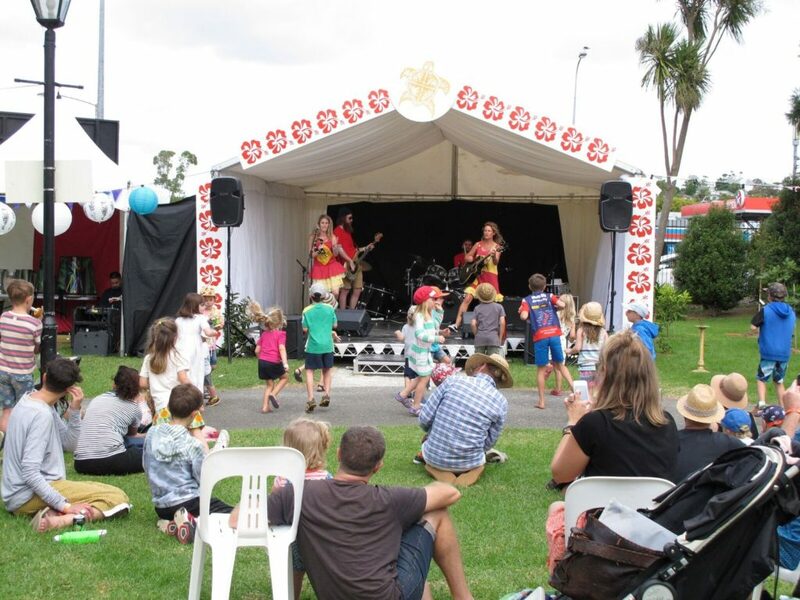 Activities in Auckland Kiddie Limits 2018 include pirate games, a photo booth, karaoke, face painting, temporary tattoos, and workshops in paper plane making, magic, balloon twisting, and jewellery. You also have MOTAT right there – we loved having nice toilets and a chill out area and indoor playground to escape to. 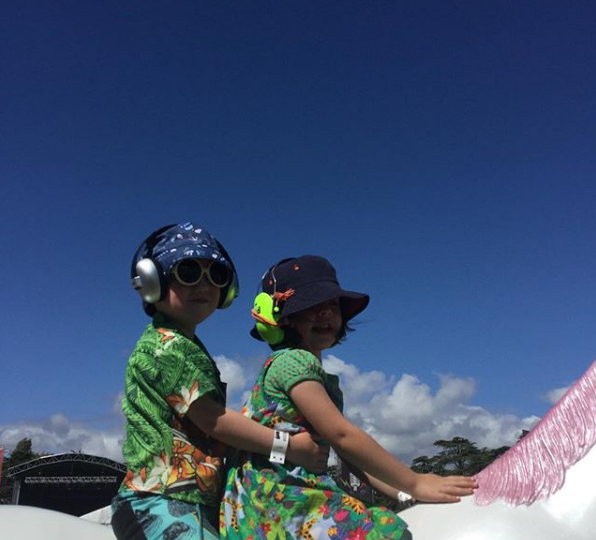 Auckland Kiddie Limits opens with the main gates at 11am and will run until 5pm –the festival headliners, who play through to 11pm so if you can drop the kids home with a babysitter you can come back. Finn, the host of the 95bFM kids show, has once again curated the musical and entertainment lineup. Performers include Christchurch duo Itty Bitty Beats, winners of the 2016 Best Children’s Song and Best Children’s Album, musical comedy pantomime troupe Captain Festus McBoyle’s Travelin’ Variety Show, singer songwriter Chanelle & Friends, magical circus performer Le Cirque De JP, award winning kids folk musician Claudia Robin Gunn and an interactive show from Chris Sam Lam’s Musical Mayhem. Eddie loved it last year and I’m looking forward to hopefully going this year. And I’m hoping I can get a babysitter because I’d love to see Grace Jones, Head Like A Hole, and Disasteradio (I know what a mix!) Other festival headliners are Beck, Justice, Future, Phoenix, Peking Duk, Tash Sultana, George Ezra, The Avalanches, The Libertines and more (see here). There’s also comedy and poetry and some really cool art installations. The food was amazing last time. So you’re not slumming it like Big Day Out. It’s a genuinely awesome family day out. And I have tickets!! So comment below or on my Facebook page (on the link to the post) and you’ll go in the draw for a double pass. Kids under 10 get in free so that’s all you need. I’ll draw the competition on Tuesday 23rd January. Tickets are on sale here.